Healcrest TeaPops Now at East End Food Coop! Join Us THIS Sunday for a Delicious Sampling Event! 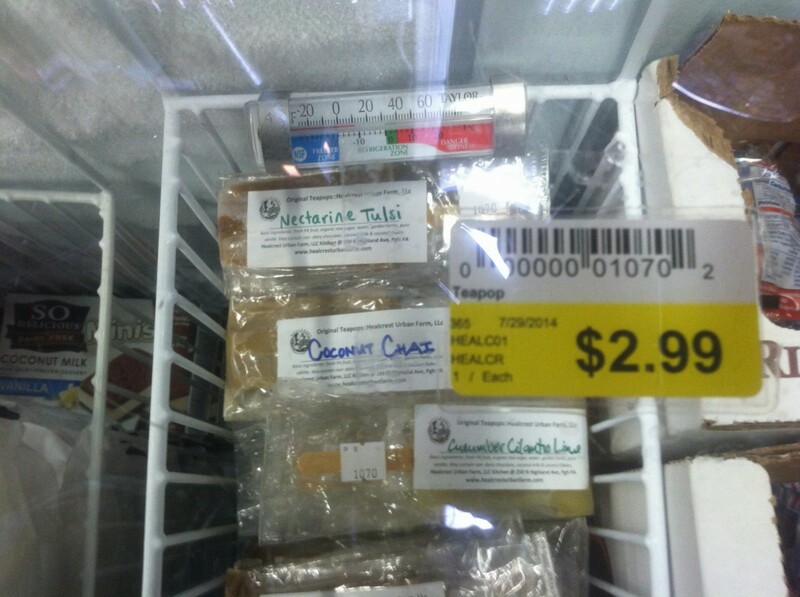 GUESS WHAT IS NOW IN THE FREEZER CASE AT THE EAST END FOOD COOP? We are VERY excited to bring our artisanal TeaPops to the East End Food Coop! Now you can enjoy individual pops for your immediate refreshment needs, as well as, take home a variety pack of 3 different flavors. Enjoy our Tea Favorites variety pack complete with two each Nettle Vanilla Ice, Bergamot Creme, and PGH’s favorite, Coconut Chai. Also enjoy our Summer Season Variety Pack including 2 each Cherry Calendula, Nectarine + Tulsi (holy Basil), and Cucumber Cilantro Lime. All deliciously refreshing and comforting whatever the mood or weather. This new market is a BIG one for us! Many of us shop at, have volunteered, or been employed by the coop for years. We have a long personal relationship with the Coop and its members and it is such a pleasure and a personal achievement to experience OUR OWN products on Coop shelves. We’re inviting all of our regular patrons to go to the Coop and make TeaPop purchases. 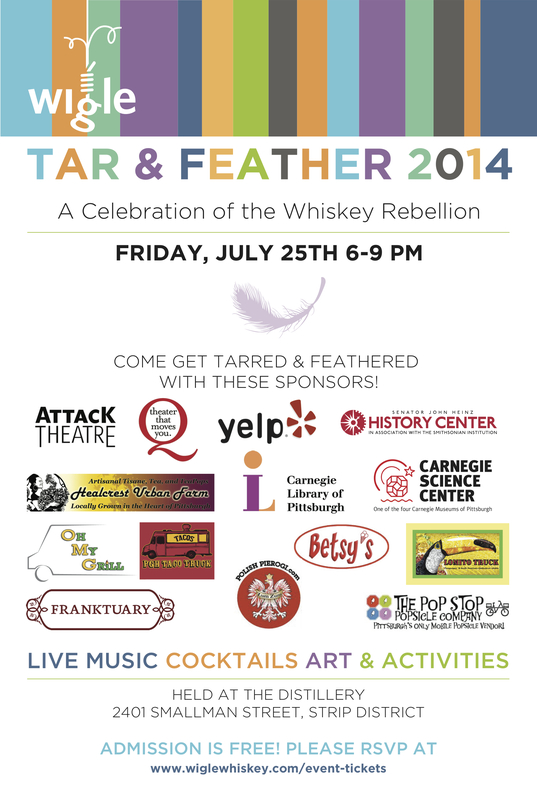 Show your support for the Coop as they support us in our growing business! Join us at the Coop this Sunday, August 3rd, 2014, from 11-2pm for a delicious sampling event. Come visit Meg as she shares a large variety of our mini sample pops. Enjoy! One block around the corner of Penn & Braddock, 7516 Meade Street Pittsburgh, PA 15208 is the wonderful little market and cafe of the East End Food Coop. If you’ve never been, be sure to visit for a great collection of local and organic goods and products. Healcrest Introduces CSA for the Fall/Winter Season! CSA membership is a great way to build a home supply of herbal medicines, learn more about how to use local plants, and explore new ways of being in control of our own health. 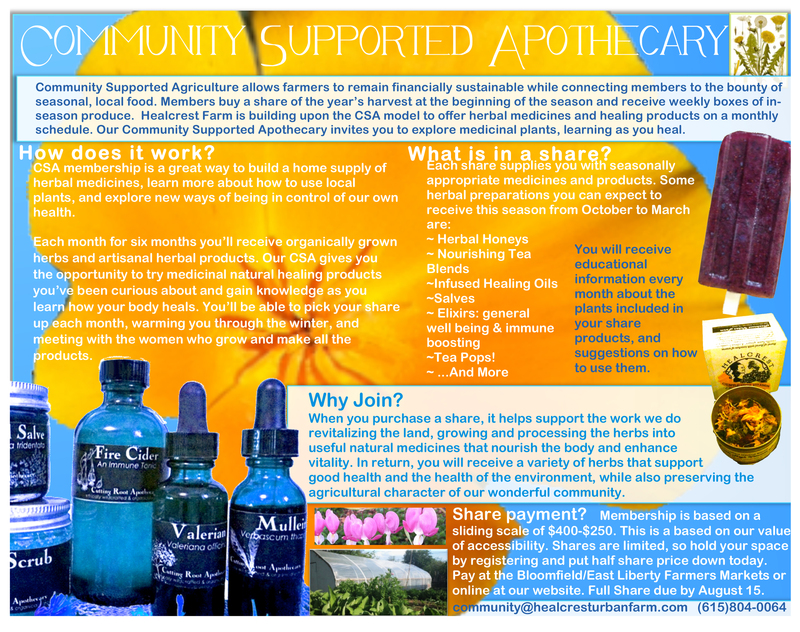 Each month for six months you’ll receive organically grown herbs and artisanal herbal products. Our CSA gives you the opportunity to try medicinal natural healing products you’ve been curious about and gain knowledge as you learn how your body heals. You’ll be able to pick your share up each month, warming you through the winter, and meeting with the women who grow and make all the products. You will receive educational information every month about the plants included in your share products, and suggestions on how to use them. When you purchase a share, it helps support the work we do revitalizing the land, growing and processing the herbs into useful natural medicines that nourish the body and enhance vitality. In return, you will receive a variety of herbs that support good health and the health of the environment, while also preserving the agricultural character of our wonderful community. Venture into the endless possibilities of flavor and learn how to stock up your fridge with delicious condiments and compliments to your everyday staples while the farmer’s markets are still bustling with delicious veggies. 1.5-2 hours (rain date: August 18th) Healcrest Urban Farm is located in Garfield at the intersection of Hillcrest and Pacific. Street Parking is available. Cost of each show, tell, and taste session is 25$ per person. Please register one week ahead of each workshop at http://www.healcresturbanfarm.com/events. Classes will be cancelled if enrollment is below eight participants. Contact Natalya at pinchuknatalya@gmail.com or 804-319-7377 if you have any questions about the workshops. Sunday August 17, 10-12, Medicine Making, Tinctures and Elixirs. We will discuss the advantages to making tinctures and even more delicious elixirs using herbs that you can grow, wild harvest, or buy. We’ll take a talk around the garden to learn about harvesting and processing techniques, how to make the best extractions from different plants and of course, do the entire process! Everyone will leave with a sample. 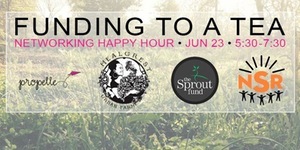 Please register in advance at http://www.healcresturbanfarm.com/events so we can have enough supplies for everyone. Contact Michelle at 615-804-0064 or healcresturbanfarm@gmail.com with question about registration. Sunday August 31, 10-12, Farm Tour, Late Summer Apothecary.